Why do you need a Chimney Design & Consultancy service? You need a chimney design and consultancy service because it’s a specialist job. Get it right and your open fire, stove or gas fire work perfectly and are a pleasure to sit in front of. Get it wrong and your room fills with smoke or your fire won’t draw properly or your stove doesn’t produce much heat. These are just a few of the possible scenarios but in the worst cases, getting it wrong means your chimney isn’t safe to use. 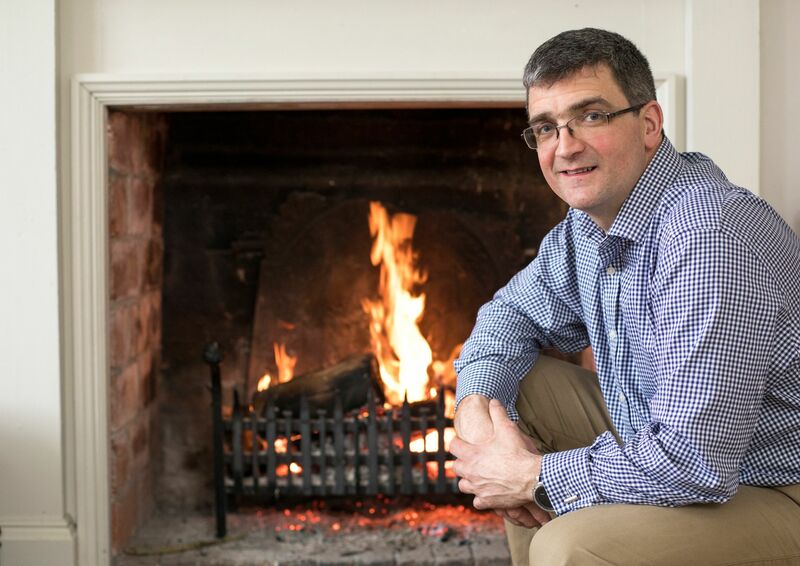 At Turner Baker, chimney design and providing specialist advice on chimneys, flues and fireplaces is the responsibility of Edward Turner, our chimney expert. Edward has huge experience in chimneys, providing workable solutions for renovation projects or advising on the specifics of chimney design for new builds. Clients are attracted by his experience and theoretical knowledge and the fact that he applies his engineering background to the projects that he undertakes. Chimney design is an ancient skill and applies to the grandest of houses down to the smallest of cottages, but it requires an understanding of thermodynamics to get a chimney and flue working properly. Working closely with architects and building companies, Edward is able to review and amend drawings, add important details such as the angle of a throat, the position of air vents within a room or the angle of bends in a flue. When a chimney and flue work well, it adds warmth and great ambience to a home, whether that’s for an open fire, gas fire, stove or a boiler. When it doesn’t work well it can be cold, uncomfortable or even dangerous. Choosing to use Turner Baker Ltd for your Chimney Design & Consultancy needs gives peace of mind, using our expertise and support to ensure that chimneys and flues are designed right first time. Specification of the flue has to be correct for whatever heat source the flue is going to be used for. That means that a large open fire will have very different flue requirements to a small wood burning stove. Additionally, it is important to ensure that the type of flue used is also correct for the chimney and fireplace that it is going to be used with. For examples of different types of flue liner, please go to our flue liner page. Edward Turner has experience of working on both new build projects and conservation projects, for both private and corporate customers. For builders and clients in the construction industry, Turner Baker ltd is registered with Constructionline and all of our employees carry relevant CSCS cards. If you would like further information on the design and supply service we provide, please fill in the form on the Contact page or call us on 01432 839123.